Based on recipe from... You guessed it: The Hummingbird Bakery book. A signature fruit cake that I would never have attempted, again because it is a layer cake (see Brooklyn Blackout Cake), and also because it has pineapple in it. Not my cup of tea... Or so I thought! 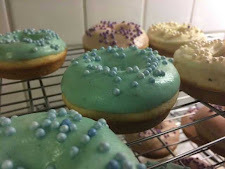 The batter was easy to create, and the bake was very simple. 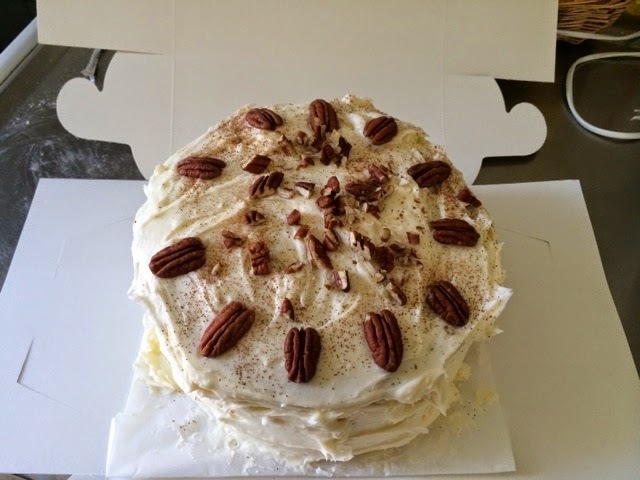 Again, being a reluctant cake decorator I unceremoniously slathered the cream cheese frosting on, and arranged some pecan nuts on the cake. It actually had its own charm. I'm hindsight, I should have probably levelled the cakes as the result was quite a tall assembly, but meh! I didn't want the scraps about. 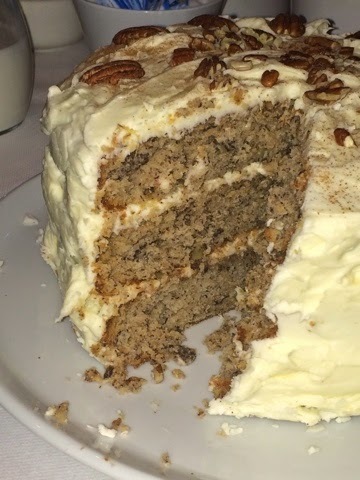 The cake turned out to be lovely and light... Whilst it was mainly a banana and pecan cake, the cream cheese frosting made it reminiscent of carrot cake. Definitely one to do again!